Performance Time : 7:00 p.m. - 9:10 p.m.
*End time is an estimate and may vary. PartⅠ: "How to Appreciate KABUKI"
PartⅡ: Experience the live performance of Kabuki "Shinrei Yaguchi no Watashi"
*Subtitles: Available only in Japanese. Displayed on screen beside the stage. *English synopsis is available. Please ask at the reception desk. In this Kabuki Appreciation Class, popular Kabuki performances are introduced by a fine Kabuki cast for as many people as possible to casually experience the fascinating world of Kabuki with its history of 400 years. 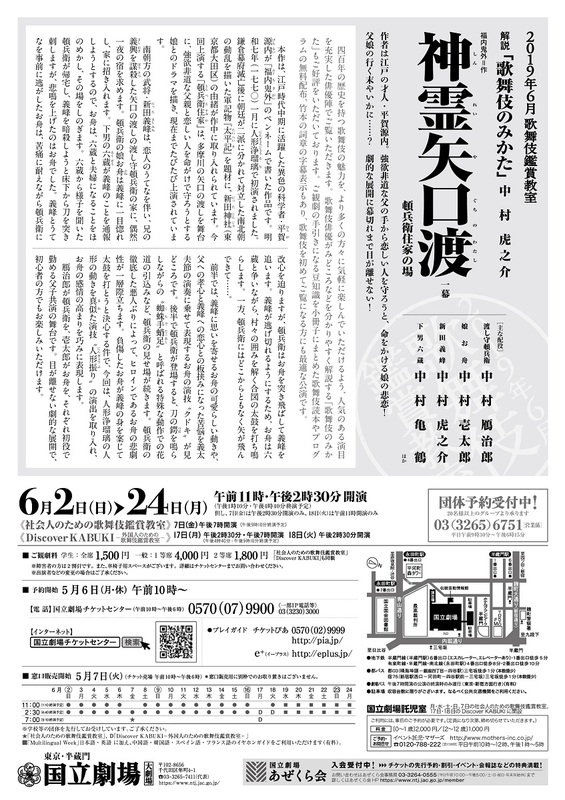 The Kabuki no Mikata (how to appreciate Kabuki) commentary program that precedes the performance also enjoys tremendous popularity, where Kabuki actors give clear and detailed explanations of the highlights of the performance. 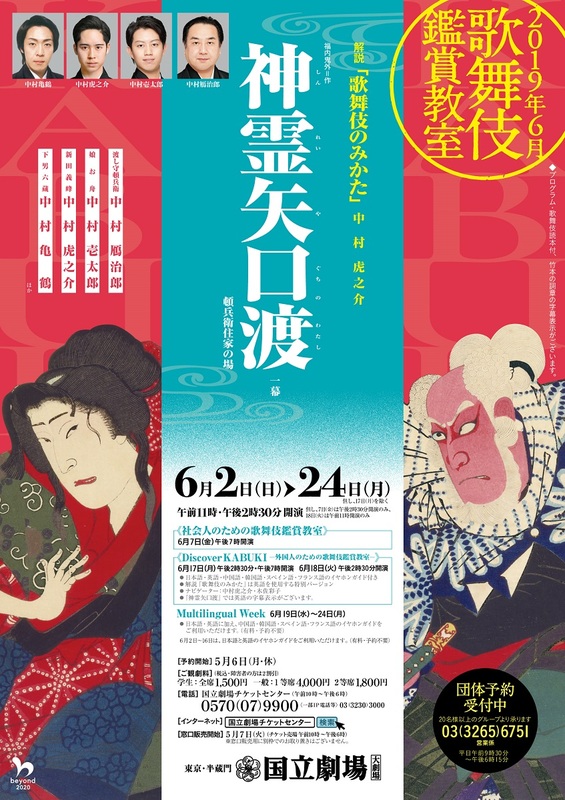 In addition to a free Kabuki handbook and program, subtitles are also provided this time, making it an excellent opportunity for beginners to enjoy and understand Kabuki.